Marketing today is all about content. Whether you’re updating the company website, sending a newsletter, nurturing leads, or using social media, you need great content. Insightful articles and engaging content creates a dialogue that engages your audience, educates your prospective buyers, and keeps them coming back for more. Here are 5 reasons that content marketing will attract technology buyers to your company and convert website visitors into leads. A thought leader is a person or business recognized for innovative ideas and industry expertise. For most of our clients, the “specialized field” is ERP or business software and technology. And the “reward” is a new customer and implementation project. You can establish yourself as a thought leader by sharing your perspectives on technology through articles on your website, email newsletters, blog posts, case studies, white papers, videos, and more. All of this great content provides your prospects with a window to your expertise – and thus begins the process of them looking to you as a thought leader (and the person or company they are likely to choose when they are ready to buy). ERP software and technology solutions are big ticket items that come with a long evaluation process. Your prospects are making a major decision and want to be educated before they spend money. You can’t sell until they’re ready to buy. So what do you do in the meantime? Provide them with great content (articles, case studies, etc.) to keep them engaged and ensure that your company and solutions stay top of mind until they’re ready to buy. It’s no secret that technology buyers go straight to the web when they begin to research ideas and solutions to solve their problems. And while there’s plenty of free information on the internet, there’s also a lot of noise, clutter, and distraction. 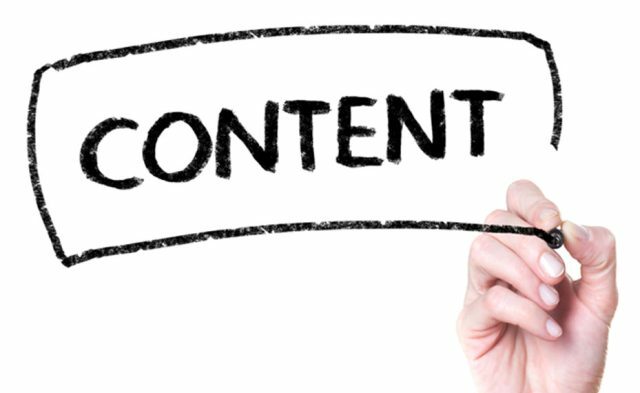 Great content rises to the top, engages buyers, and drives them to your company. The more content you have on your website, the easier you are to find. Especially if that content is optimized for keywords. But remember, the volume of content gets them to your website; the quality of content keeps them. Great content can differentiate you from competitors that are constantly selling, pitching features and functions, and trying to push boxes of software out the door. Before they even engage you, prospects will probably check your website, case studies, client testimonials, press releases, and industry articles to form an initial opinion about your capabilities and experience. If all you have on your website are brochures, biased sales collateral, and a ‘Contact Us’ form, you probably lost an opportunity to make a great first impression. P.S. For even more Content Marketing Insights, head over to SlideShare and download the slides from our Content Marketing Excellence workshop delivered at the ITA Spring Collaborative. Content Marketing for ERP Providers – Why is it Important? At Juice Marketing, we provide content to ERP software providers and technology companies just like yours. From customer case studies and press releases to email newsletters and blog articles, we’ll put some JUICE in your MARKETING that’ll have your customers and prospects thirsting for more. You also really need appropriately placed and worded call to actions or the well thought out content may not generate the leads it deserves to. We try to place at least one CTA in every blog article, and sometimes more, without being obnoxious to most people. Peter: good point and observation. I wanted to keep the post short and focused. But yes, calls to action are critical. Getting visitors to your website (with great content) is only the first step. Converting visitors to leads (with CTAs) is equally important. Good insights. These are good benefits to attract customers. From an end user perspective, curating content through blogging etc, may also be beneficial. For example, It allows the marketing and sales team to better align themselves together on shared purpose and can strengthen the message to your audience. Which in turn, allows you to get better and better at the process of delivering value and resources which are worth the time to read. For smaller VAR’s, it may be a great way to have “point” people assigned and then “reassigned” to topics as a way to learn. Content Marketing is powerful for many seen and unseen benefits by both parties. Great commentary on thought leadership, thank you for the input!